With Pandemic: Legacy set to make its debut October 8, I thought I’d visit an old friend, the purely cooperative game that started it all: Pandemic designed by Matt Leacock. 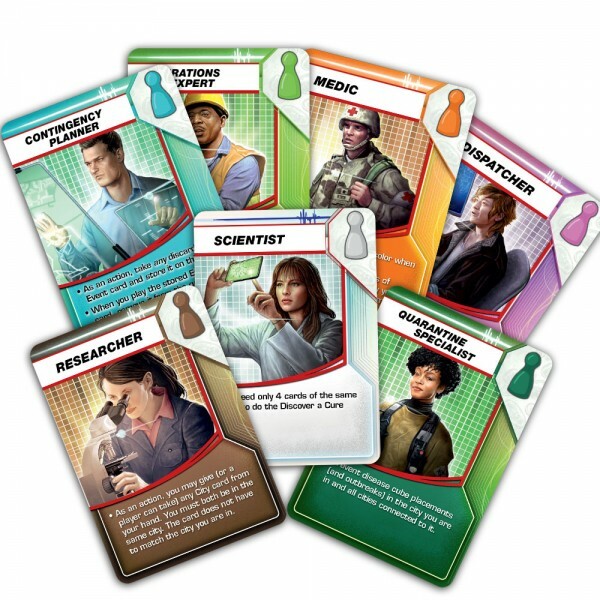 In Pandemic, you and your friends play the role of scientists trying to prevent a pandemic from laying waste to the world. There’s only one way to win: find the cure to all four diseases. However, there are multiple ways to lose. If 8 outbreaks occur, you lose. If you need to place a disease cube and don’t have one, you lose. Or if it’s time to draw a player card and the deck has run out it’s “Game over, man. Game over.” (That’s how I usually lose – when I lose.) Pandemic is a test of both cooperation and mettle. Setup takes about 5 minutes. Place a Research Station in Atlanta, the Outbreak and Infection Rate markers in their designated starting places on the board and the Cure markers below the board near Cures Discovered. Players each begin the game with a Role card and matching colored pawn, a Reference card, and a number of player cards (4 with 2 players, 3 with 3, and 2 cards each with 4 players). You can assign Roles randomly or let players select (House Rule). I like to give the Medic to young or new players as it’s a very satisfying and important role to play. After distributing the cards, divide the deck into roughly even piles (4 for the easiest game, up to 6 for the hardest) then shuffle an Epidemic Card into each pile and stack them to form the Player Deck. To seed the board with the beginnings of the potential pandemic, shuffle the Infection Deck thoroughly and turn up three cards. Place 3 disease cubes of the appropriate color on each of the depicted locations. Turn up three more Infection cards and place two cubes each at those locations. Turn up three more cards and give those locations one cube each. Finally, place all the cards you used to seed the board face up next to the Infection Deck to form its discard pile. Now your race to save the world begins. On your turn, you 1) Perform 4 Actions, 2) Draw 2 Player cards (if one is an Epidemic, also execute the steps on the Epidemic card), 3) Infect: draw cards, one at a time, from the Infection Deck up to the current Infection Rate, placing one Disease Cube at the depicted site (this could lead to one or more Outbreaks causing the viruses to spreads faster). Actions fall into two categories: Basic Actions which are ways your can move around the board and Special Actions you can take to treat diseases, find cures, build research stations, and exchange knowledge (cards). There are 4 ways you can move around the board. You can Drive/Ferry to adjacent cities for one Action each, take a Direct Flight by playing a card from your hand and flying to the depicted city, take a Charter Flight by discarding a card matching the city you’re in and moving to any other city, or Shuttle from one Research Station to another (no card required) – assuming you’re in a city with a Research Station. The Dispatcher’s special ability allows him to move other players’ pawns as though they were his own using any of the above Basic Actions. Additionally, the Dispatcher can move any pawn to the same city as another pawn for 1 Action. Treat Disease – Remove one or more disease cubes from your current location (1 cube per Action spent). If you’ve already discovered the cure for that color disease, you can remove all the cubes of that color for 1 Action. “When in doubt, treat disease,” I always say. The Medic can remove all cubes of one color with a single Action. Also, anytime he enters a city containing disease cubes of a cured disease, they magically disappear – no action required. Build a Research Station – Discard the card matching the city you’re in and place a Research Station there. The Operations Expert can build a Research Station in his current city for 1 Action – no card required. Share Knowledge – Give or take the card matching your current location to or from another player in your same location. The Researcher can give or take a card from another player in the same city – the card doesn’t have to match her current location. Discover a Cure – Discard 5 cards of the same color at a Research Station, then place the corresponding Cure marker on its spot in the Discovered Cures area of the board. This disease is now much easier to treat. The Scientist only has to discard 4 matching cards, instead of 5. 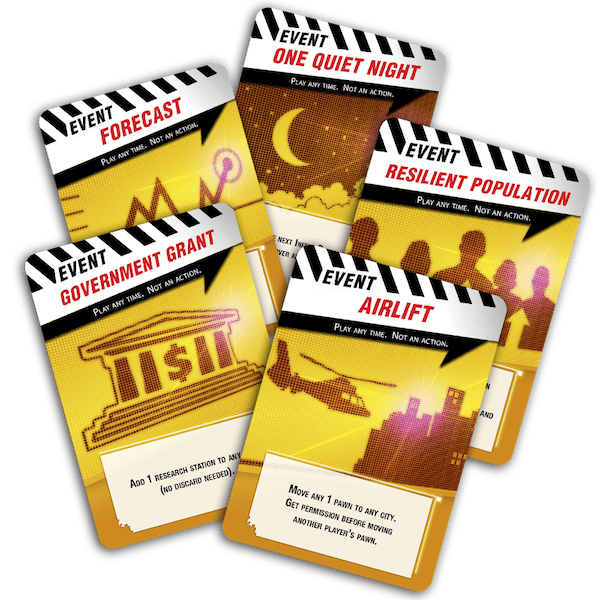 In addition to the city cards you can use for a variety of purposes as described above (there’s only one card for each city), the Player Deck also includes 5 Special Event Cards. You can play Special Events at any time – even during another player’s turn – except during the Infection Phase. You can even play a Special Event Card when your hand limit exceeds 7 cards instead of just discarding it to bring your hand down to the 7-card Hand Limit. Special Event cards do not cost an action to play. Just follow the instructions on the card. Special Events are powerful and extremely useful cards. Use them wisely. Hopefully this all sounds pretty straightforward. Now let’s see how the game fights back against all of your well-meaning Actions. Remember at the end of your turn how you have to Infect by drawing a number of Infection cards up to the current Infection Rate? That’s you, playing for the game. Sure, one cube per card doesn’t sound like a big deal – until they start piling up! Don’t forget, if you need to place a cube and can’t because you’ve run out of that color, it’s Game Over, Man! You lost, the game won. This is not a good: if Hong Kong or Taipei is drawn during the Infection Phase. they’ll both Outbreak in a Chain Reaction. An Outbreak occurs any time a city would receive a 4th disease cube of the same color, in which case, instead of placing a 4th cube on that city (you can never have more than 3 cubes of the same color on a city), move the Outbreak marker up one level, then place 1 cube of that color on every city adjacent to the city where the Outbreak occurred. This may in turn create a Chain Reaction, causing another city to Outbreak and requiring you to place 1 cube in each city adjacent to the newly outbreaking city. Fortunately, each city may only Outbreak once in a Chain Reaction situation. However, if the Outbreak marker ever reaches 8 on the Outbreak Indicator, it’s Game Over, Man! Increase the Infection Rate by moving the Infection Rate marker up one space. That means from now on you may have to draw even more cards during the Infection Phase – if not now, you will soon. Infect a city by taking the bottom card from the Infection Deck and adding 3 cubes – yep, that’s right 3! – to that city. This may trigger an Outbreak. Now it’s time for the Infection Phase of your turn. Yep, it’s still your turn, it didn’t end with that Epidemic. You have to draw Infection cards, one at a time, and infect those cities with 1 cube each. Here’s when it’s even more likely for an Outbreak to occur. This is when everyone holds their breath, hoping against hope that the wrong card(s) don’t come up. Expect heavy sighs of relief when all goes well and outcries of dread when fate decrees otherwise. The tension here is part of what makes Pandemic addicting. There’s one other way you can lose: when you need to draw a card at the end of your turn and there aren’t any cards left in the Player Deck, it’s Game Over, Man! However, should you succeed in discovering all four cures (red, yellow, blue and black) before one of the three losing conditions occurs (need to place a cube and can’t, 8 Outbreaks or need to draw a card and can’t) you emerge victorious! Congratulations, you beat Pandemic! A couple more things: it’s ok to look in the discard piles at any time. 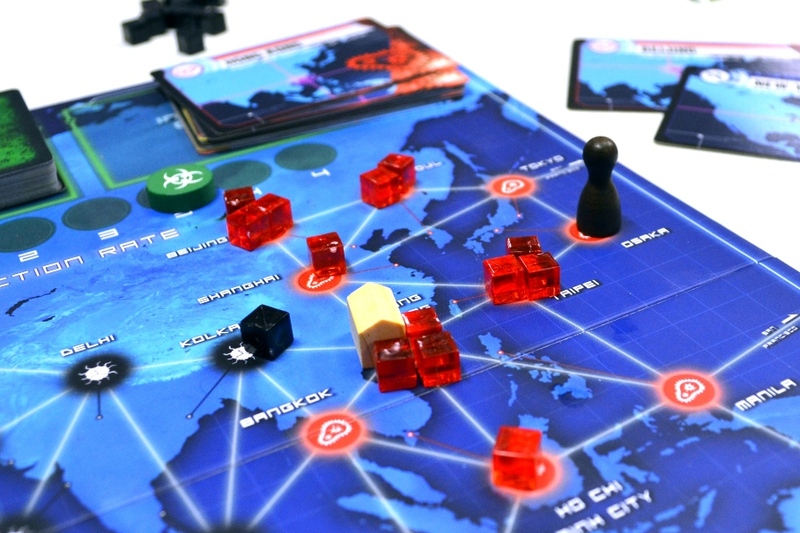 Pandemic is a game of cooperation and mettle, not memory. It says so right in the rulebook. 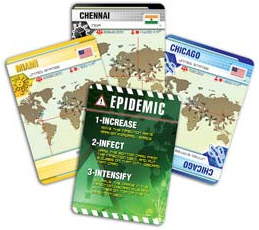 The Second Edition of Pandemic added two Roles: the Contingency Planner and the Quarantine Specialist. In fact, the game got a whole new look: bright new artwork, plastic translucent disease cubes instead of the original wood, and plastic tokens replaced the cardboard tokens for the various markers. Oops, I almost forgot to mention that it’s possible to completely eradicate a disease. If, after finding the cure to a disease, you also manage to remove all disease cubes of that color from the board, you have successfully eradicated the disease. Turn the applicable Cure Marker sunny side up. Any Infection cards drawn for that color disease have no effect and just go straight to the Infection Discard Pile. To further indicate this if you have the On the Brink Expansion, put the lid on that disease’s petri dish, otherwise you can put those disease cubes back in the box. Speaking of expansions, thus far Pandemic has three: On the Brink (in my opinion this is a must-have), In The Lab (good if you usually play with 3 or more players), and State of Emergency (the latest). Pandemic: On the Brink adds new Roles, Special Event cards, Virulent Strain Epidemic cards, and a fifth mutated disease (purple, with fewer cubes that the other diseases). Oh, yeah and a Bio-Terrorist semi-cooperative play option. These new features are modular, you can play them separately or combine them, except the Bio-Terrorist and Mutation challenges cannot be combined. When playing the Virulent Strain challenge, when your first Epidemic occurs, after performing the Infect step of the Epidemic, count the disease cubes by color. The disease with the most cubes on the board becomes your Virulent Strain. Some Virulent Strain Epidemic cards have a Continuing Effect, such as Complex Molecular Structure which requires you to discard one additional card (6 instead of 5, 5 instead of 4 if you’re the Scientist) to cure the Virulent Strain. The additional Roles provide a lot more variety in your play as do the new Special Event cards. You don’t just add all of them to the deck. Instead, during setup, you’ll shuffle the Special Events separately then add 2 per player to the Player Deck. On the Brink also allows for a fifth player to join in the fight. 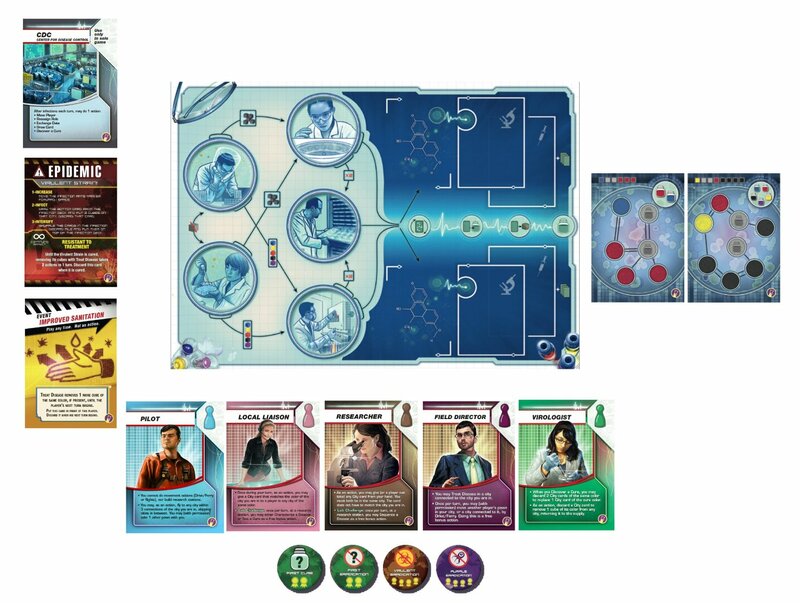 Pandemic: In The Lab changes the way you Discover a Cure. Instead of simply discarding five cards of the disease’s color at a Research Station, you’ll process samples of the disease on the new Lab game board. To assist with your lab work, four new Roles are provided. To hinder you there are new Virulent Strain events and a Worldwide Panic Mutation scenario. You also have the option to compete, instead of cooperate, either individually or on rival teams when 4 or 6 play. While I like the concept of In The Lab, I don’t think it works very well with just two players: it feels like it was designed with more players in mind. 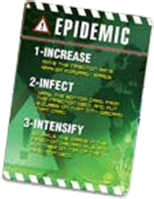 Pandemic: State of Emergency provides three new challenges for Pandemic, which I have not yet had the pleasure to try. The Hinterlands Challenge has diseases spreading from animals to humans. I’m not sure what that means. Unpredictable events that have nasty effects on the game occur when you play with the Emergency Events Challenge. And the Superbug Challenge is deemed not for the faint of heart as it adds a fifth disease which is extremely resistant to treatment: you have to find its cure before you can treat it and use quarantines, a new mechanism, to stop the superbug’s spread in the meantime, then produce vaccine doses. Yikes! You also have to eradicate it to win. Ok, I really have to try it now! 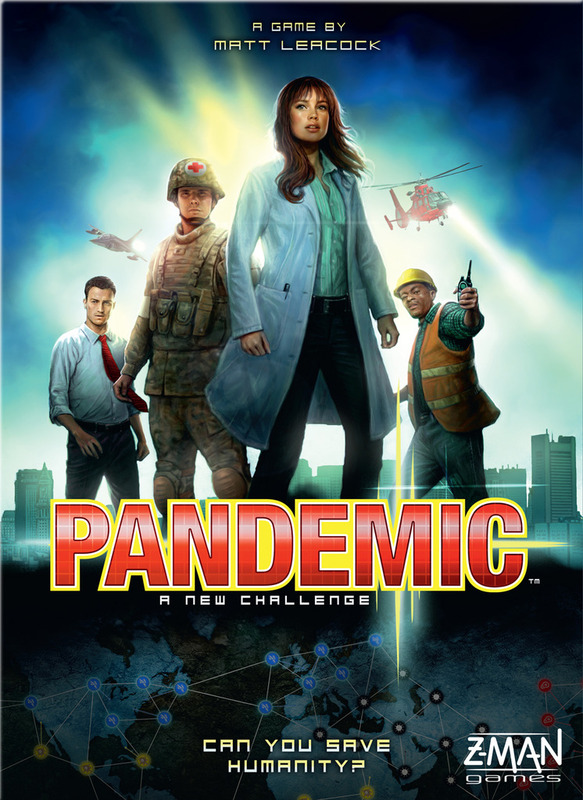 Pandemic has spun off several other games. 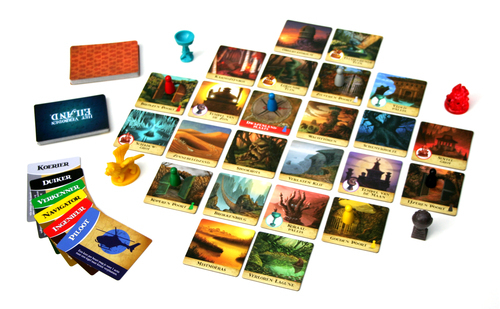 Forbidden Island was the first with a similar, but simpler game play. In this case, you’re adventurers hunting for four treasures on a sinking island. Find them and escape in the helicopter before the island sinks to win. Forbidden Island is perfect for playing with the younger set – adults love it, too. It also has an incredibly low price point. I don’t know how they do it. 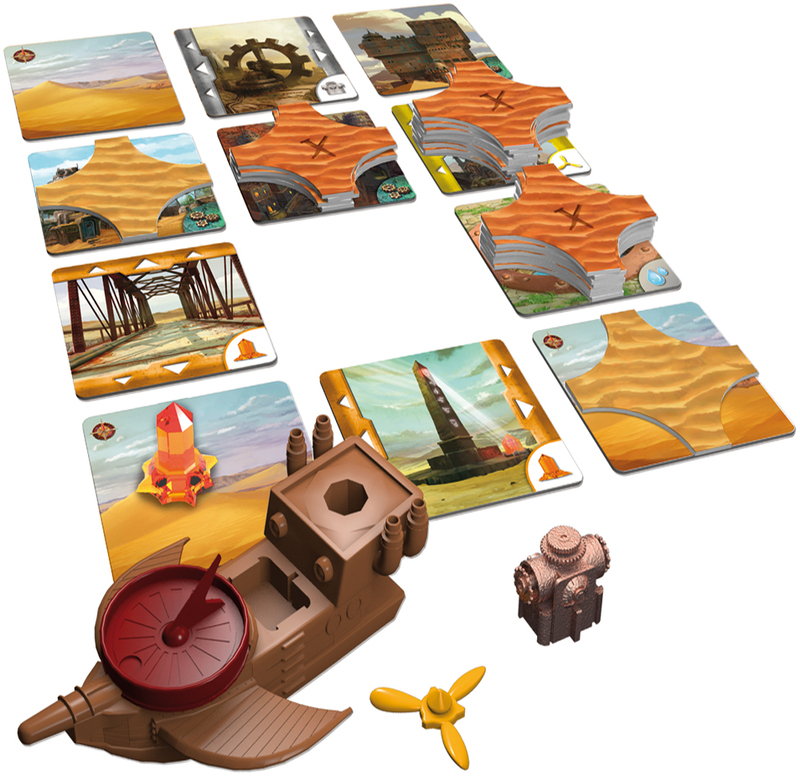 Forbidden Desert is a sequel to Forbidden Island with the adventurers now hunting for the parts to a steampunk-type flying machine so they can escape the impending sand storm. Forbidden Desert is more challenging than Forbidden Island. The desert sand is constantly moving – a cool mechanic – and the atmosphere is great! 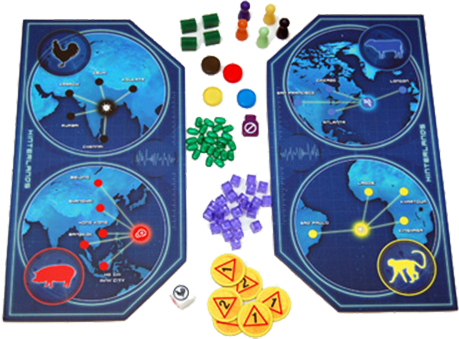 Pandemic: Contagion – not designed by Matt Leacock – is the antithesis of Pandemic with players playing competitively as diseases trying to wipe out humanity. And for those who love to roll dice, there’s Pandemic: The Cure, a dice version of Pandemic with the same familiar roles and goal: find the cures. Pandemic (plain vanilla Pandemic without expansions) supports 2 to 4 players ages 10 and up and takes about 45 minutes to play. You can easily play it solo, too. Just pick two or more Roles and play each one in turn – I’ve never tried solo play with a single Role. Younger kids could play with a little help. Whomever you play with, Pandemic is a test of both cooperation and mettle. Copyright © 2015-2016 by Tina G. McDuffie. All rights reserved.